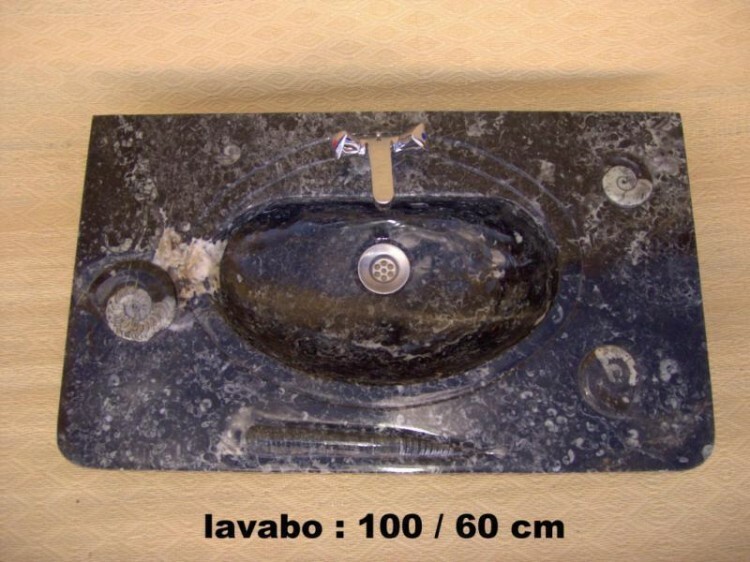 Very different and unusual bathroom sinks, produced from fossil rich rock. Every one is unique and they come in polished black or various shades of brown. 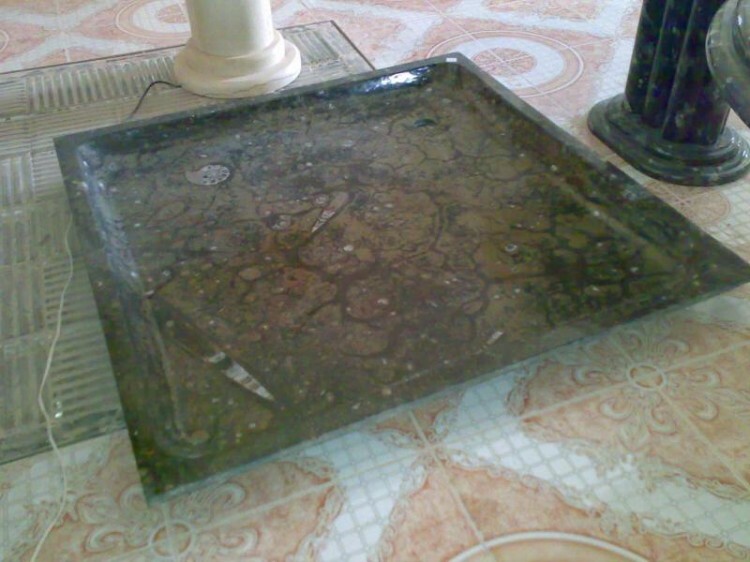 Because every one is unique, the products vary slightly in terms of fossilisation and shade. Prices start at around £400. We also supply shelving, and counter tops in the same rock as the sink to allow colour co-ordination for the scheme. 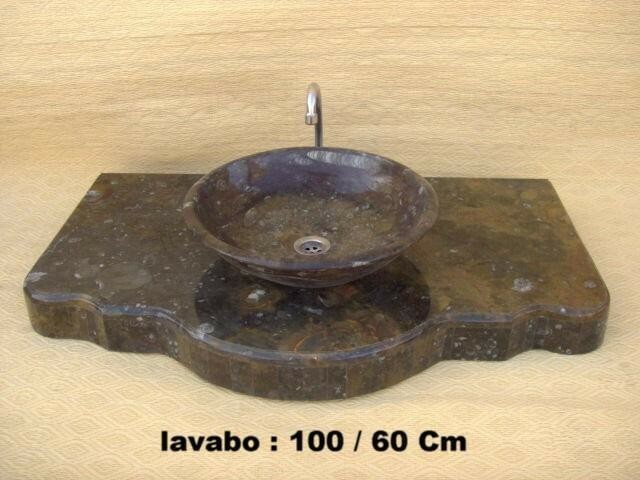 In addition, we supply shower trays, toilets , and bidets in the same fossil rich rock. 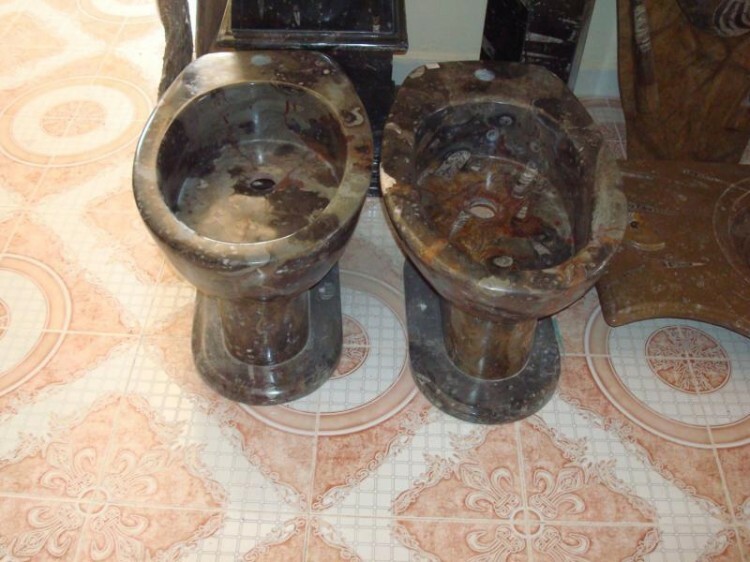 A toilet & Bidet produced from solid blocks of fossilised rock. 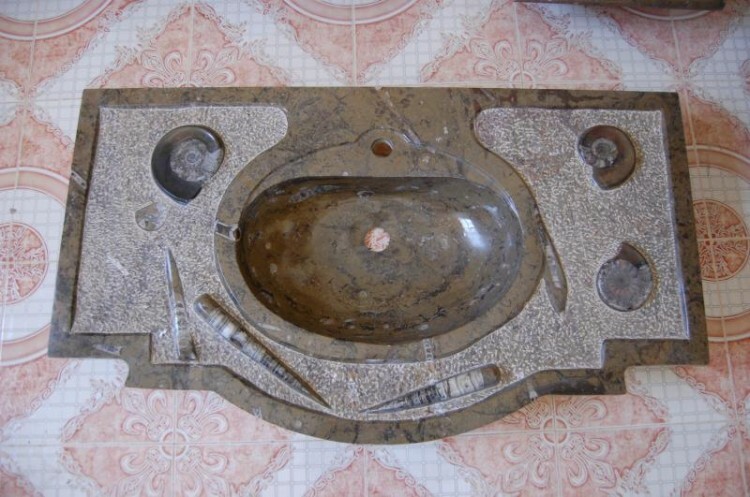 An amazing shower tray produced in fossilised stone. 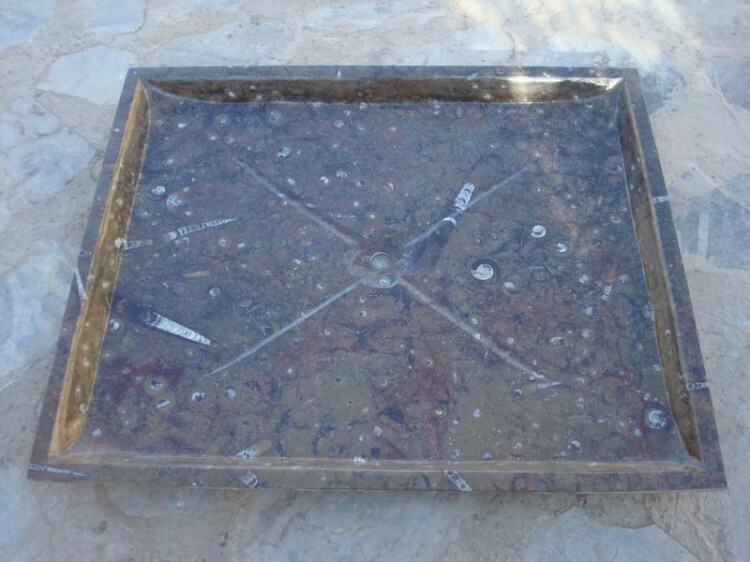 A highly unusual fossilised sink with raised fossils on the polished surface.